This year marks the 50th anniversary of the original Star Trek series, and a craft brewery called Shmaltz Brewing in New York has been commissioned by CBS to celebrate the anniversary by getting some nerds drunk with two official Star Trek beers. That comes from Nerdist, which says the two beers are part of what’s being called “Golden Anniversary Ale,” and they’re known as “The Trouble With Tribbles” and “Voyage To The Northeast Quadrant.” The latter seems fairly straightforward, with Shmaltz saying it has “a crisp, clean malt character” that is “showcased by the use of light Munich malts and brewer’s maze.” That’s Northeast Quadrant-y, right? 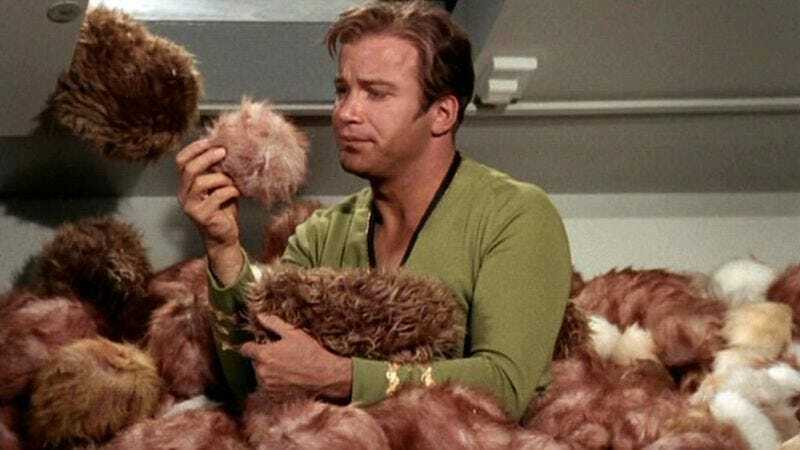 The other beer, “The Trouble With Tribbles,” is obviously named after the Star Trek episode of the same name, but while it doesn’t have any endlessly multiplying little terrors, it does have “light Carastan malt,” “a dose of Munich,” and “wheat malt.” As for the name, the original “Trouble With Tribbles” episode involved the Enterprise crew protecting a shipment of a futuristic grain called quadrotriticale, which is the sort of thing that would probably be a beer ingredient in the future. Basically, these beers are the sort of thing that will only make sense to Star Trek nerds and beer nerds, so they’re perfect.